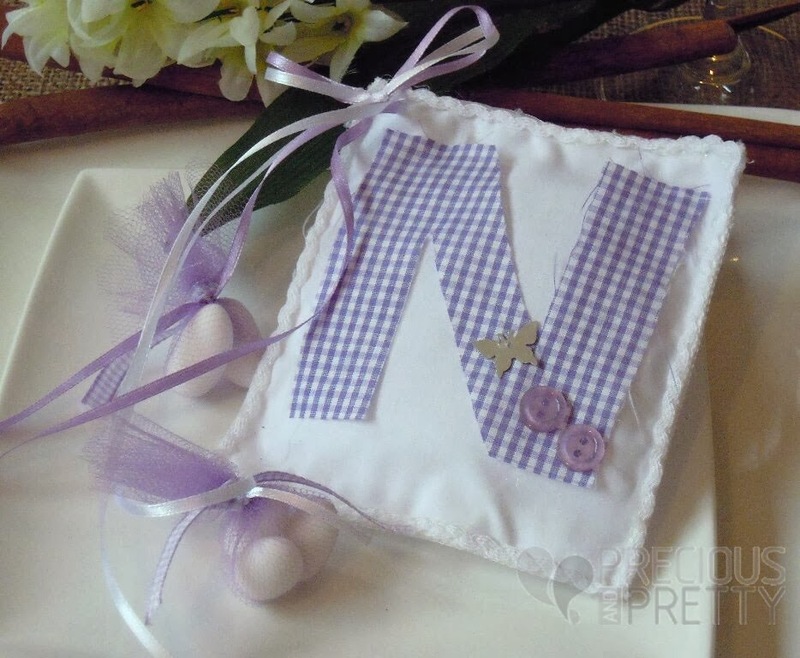 White cotton cushion, with the initial letter of the baby's name, made of lilac plaid fabric. These favors are embellished with lilac buttons, plexi glass butterfly and satin ribbons, from which are hanging lilac tulles with 5 koufeta (sugared almonds). https://www.preciousandpretty.com/2014/01/greek-christening-favors-for-girl-b027.html Greek Wedding Favors|Orthodox Crowns|Stefana|Baptism Invitations Greek christening favors for girl B027 a post about favors made in Greece with fabric cushion and koufeta for girl's christening Product #: Greek Wedding Favors|Orthodox Crowns|Stefana|Baptism Invitations_2939112635779639903 5 stars out of 5 reviews.